St Mary’s School loves its parents! Parents are welcomed into school to help, and increasingly we rely on such help to enable us to support children in all aspects of their school life. Help can vary from listening to children read, assisting with swimming in the Summer Term, going on school trips, and supporting school events such as concerts, plays and other performances. Please note, however, that all people who work in schools, whether voluntary or employed, are required to complete a Police Clearance form. Equally, if not more importantly, we ask that parents attend Parents’ Evenings which take place in the Autumn and Spring Terms. A full written report is sent out at the end of the Summer Term. The staff constantly monitor children’s progress and regular opportunities are given for parents to discuss progress with the teacher not only at parents’ evenings but also throughout the year. We have a Home-School Agreement, which parents, children and their teacher are asked to sign yearly, showing commitment to the well-being of our children and their education. All parents are encouraged to take an interest and active part in the Parent Teacher Association (PTA), which is steadfast in its efforts to raise money for school equipment and events plus funding and maintaining the swimming pool. 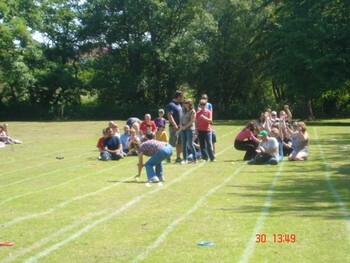 The PTA, with the school and village community, also organises the annual Village Fete, which has been very successful in fundraising both for the school and for the community as a whole. Parents are automatically members because it is free to join - so why not come along to the meetings and events, make new friends, and get involved with school! We actively encourage feedback from our families even though it may not always be possible to accommodate requests or suggestions. Most parental concerns can be dealt with quickly by the class teacher and parents are encouraged to discuss any problems that arise with them first. If the class teacher cannot solve the problem or parents are still concerned, the Headteacher will be happy to help. If after working with the Headteacher parents are still dissatisfied, the schools' complaints policy should be followed.